Google Analytics is used to provide detailed statistics of visits to your blog such as who’s coming to your blog site, how they’re getting there and what interests them. Google Analytics can be enabled in Edublogs Pro, Student blogs (attached to an Edublogs Pro via My Class), and CampusPress blogs. If you are a Super Admin of a CampusPress network, and are interested in enabling Google Analytics on all of the blogs in your network, please read this guide. 1. If you are new to Google Analytics, click on the link to “sign up for Google Analytics” or go to http://google.com/analytics. 3. Click on Google Analytics. 4. Sign in with your gmail account or click on Create Account to create a gmail account. 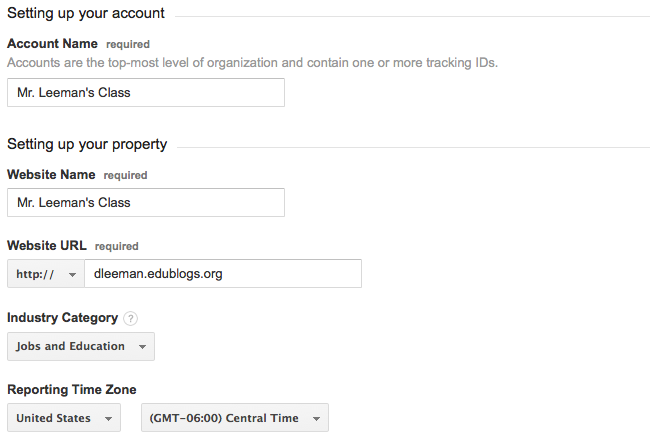 Once you have created a Google Analytics account, you’ll need to create a tracking ID for your blog. 1. In your Google Analytics account, click the Admin dashboard. 2. Under the Accounts panel, create a new account. 4. Fill in your account and web property information. 6. Accept the Google Analytics Terms of Service Agreement. 1. Go to Settings > Google Analytics in your blog dashboard. 2. 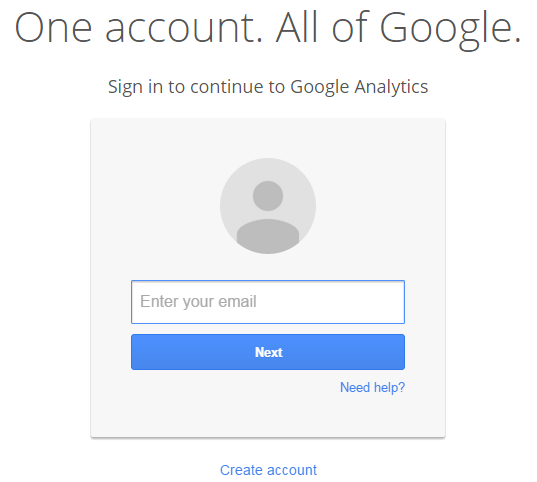 Click Login with Google account. 2. Grant Google Analytics access. 3. Paste your Google Analytics tracking ID in the Site Tracking Code field. 4. Select Tracking ID for your blog from the drop-down menu. After saving changes, your Dashboard > Statistics may take up to 24 hours to load visitor data. If your blog is part of a CampusPress network, your Super Admin may have set Statistics to display visitors across the entire network by default. Your new data should load within 24 hours. If you want outside visitors to come to your blog, make sure to set your Site Settings to “Allow search engines to index this site.” in Settings > Reading. To learn more about the statistics displayed, read this quick tutorial.